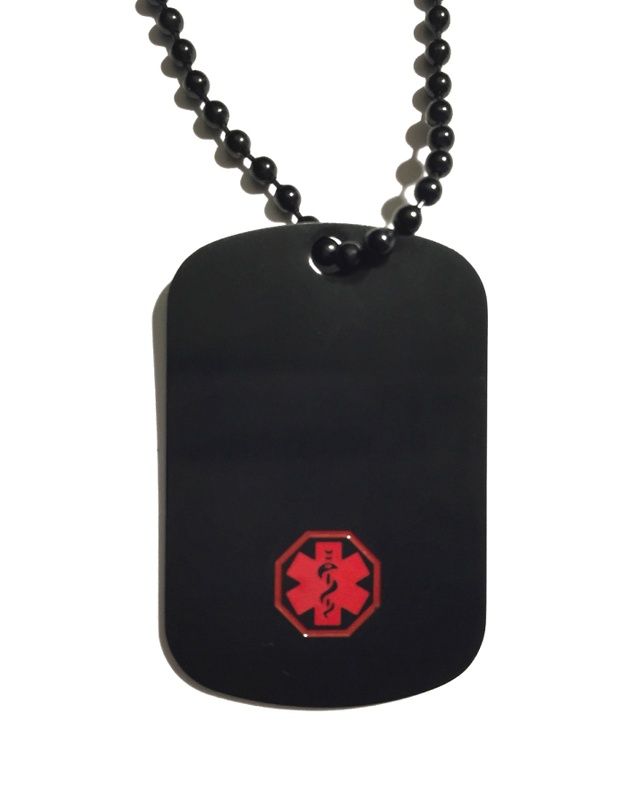 Stainless steel, ion black plated, hypo-allergenic medical ID pendant with black ball chain necklace. 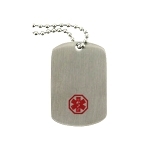 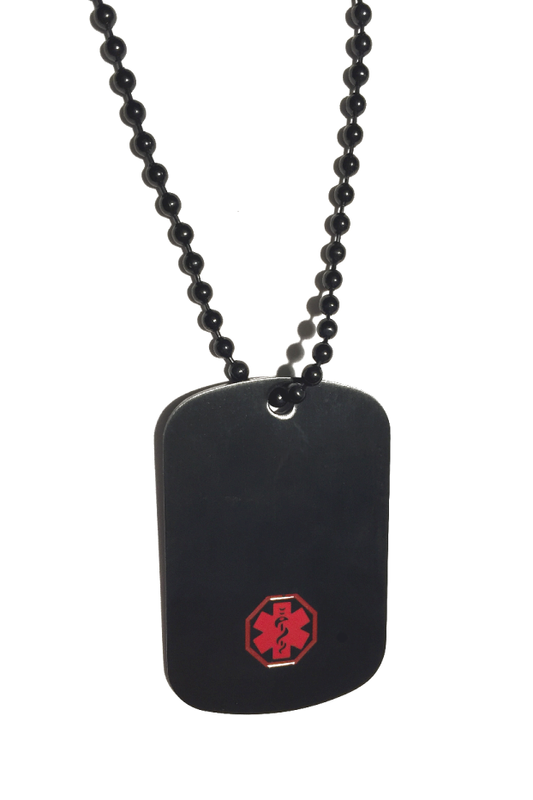 Dog tag is approximately 7/8 inch wide by 1 3/8 inch tall. 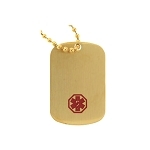 Necklace chain is available in several lengths.